The more I read, the more I realize what we all already know: the key to lowering healthcare costs, managing chronic diseases, and preventing dementia is, to a large extent, a self-directed choice. There is no magic bullet, and waiting for the pharmaceutical white horse to swoop us up and ride off into a healthy sunset is a misguided fairy tale. We have dog parks, and skate parks, and ball parks, and toddler parks…. but where are the parks for seniors? Where are the tax-funded spaces specially geared for the longest-contributing tax-paying citizens of the country? There are a few playgrounds for seniors around the country, but none (at least that I know of) that address cognitive health as well. Starting with my own community, I hope to be part of the engine that delivers park systems for older adults throughout a wellness-minded America. 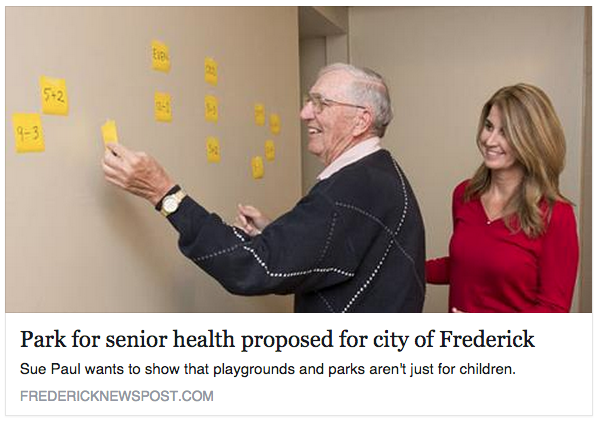 I will share more news about the park in Frederick, Maryland as it unfolds. I will also share the special nuances of the park design that make it “holistic and integrative” in the coming weeks. There is plenty of evidence in the literature to support the benefits inherent in specially designed outdoor spaces, including the known benefits of exercise, socialization, and sensory experiences. Perhaps by removing barriers and improving access, and fostering a culture of wellness in Aging America (which is all of America), we can take back our nation’s health. I believe so strongly in this ideal. If you would like to bring a senior park to your community, please contact me. It’s going to take a lot of villagers to build new villages. Excited, inspired, and determined. Let’s go. Previous: Fight or Flight – When Caring for Your Parent, Which Will It Be? Next: Hey DQ, Where Ya Been? That’s so awesome. I have been intrigued by the senior-friendly playgrounds that I have seen on the internet. Adding a cognitive element sounds like a great addition. 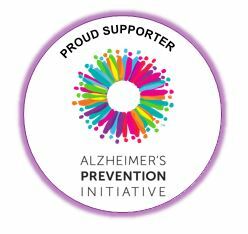 I so want to get something started in our town for the seniors with a form of dementia. Would you be so kind as to introduce me to the 10 most important stepts to help our loved one have more of a quality life. I just found your site and I absolutely love it. I have been a caregiver for seniors for some time and I appreciate what you’re doing. 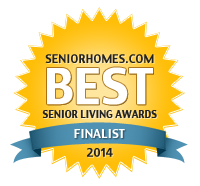 I also love this article on outdoor spaces for seniors. The senior centers I’ve visited have room for improvement. Great picture for the post, by the way.